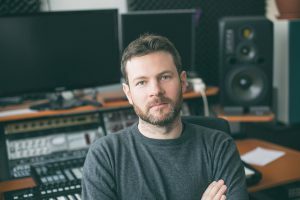 I’m a 34 years old French artist that started as a music composer (under the alias “Cyesm”). I’m composing for video for more than a decade. 8 years ago, I met a director (and a friend!) who needed music for his film. I had a passion for photography and at some point, he decided to invite me to a shooting, to catch the tension of the subject (a glass blower), in order to compose the music afterward. He asked me to try to shoot video with a 7D he lent me, and I had such a pleasant experience. I’m still assisting him today because I like to learn, and we have a lot of fun working together. I also direct projects on my own and I enjoy that a lot. I’ve been working on portraits for a few years now, mostly using photography. I want to make a series of video portraits about creators and artists. I’m fascinated by that “urge” to make things happen, to create. Portraying Marie Lenfant was a good way to start. Her work is amazing, and she is very dedicated to her creation. We had spoken before and I knew how much she was wondering about the political issues every artist needs to deal with at some point. I also knew that dance was a good material to work on as a cinematographer. I first find out about FilmConvert on a youtube channel, I think it was on DSRL Guide. Then I saw a lot of people talking about it. 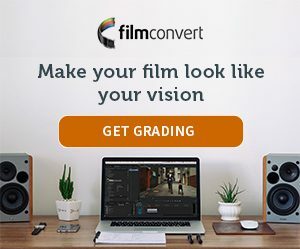 It was often presented as a reference (like ‘it’s not as good as FilmConvert but it’s still OK’ or that kind of things) so when I began to search for tools for color grading, FilmConvert seemed like something I had to try. To be honest, I use FilmConvert on every project I’m working on, including photography. Sometimes just for a final touch. On this project, I was looking for very soft and neutral tones. I come from photography and when it comes to color correction and style, I work on the palette a lot. I like when people are not wondering too much about the process behind. It was also my first project mixing footages from 5D mark IV (and C-log) and my Ursa mini 4.6k. FilmConvert really helped me making this mix natural. On this video, I’m using the FJ Prov 100 with film color at 33% and curve around 52%. The grain is based on 35mm Full Frame and is around 50%. I kept the color profile on standard sRGB because I’m using custom LUT before using FilmConvert’s plugin. I also push the exposure and the saturation just a little bit. I really think there is a “sweet spot” on every good tool and I’m always trying a lot of tweaks before being happy with a particular setup. To me, the process ends when the toggle between before and after the plug doesn’t raise any doubt on how much better it is when it’s on.